The 1st Media Pitching Day in collaboration with HKTDC kicks off in Hong Kong Electronics Fair 2017 (Spring Edition). 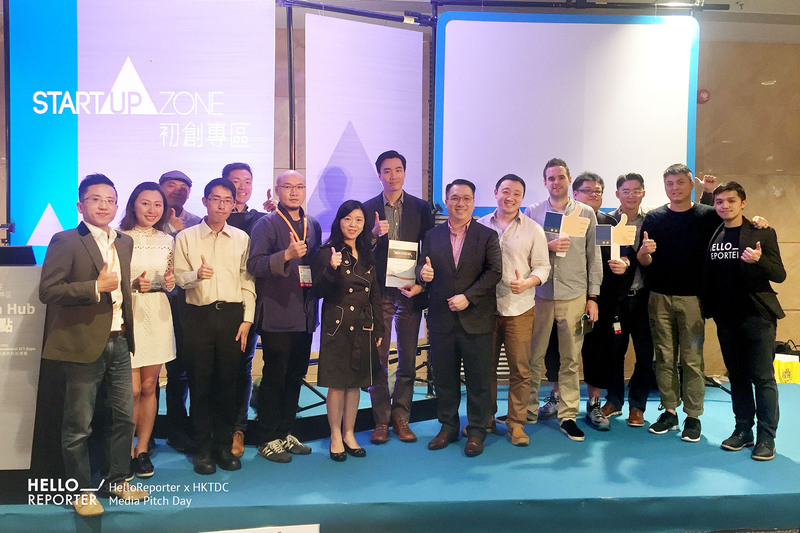 On 13 April 2017, HelloReporter and HKTDC hosted "Media Pitch Day" in Hong Kong's innovation hub for eight overseas and local tech startups. The event aims to help startups gain more exposure by giving them the opportunity to share their experience with journalists. Some media representatives from HK01, SCMP, Oriental Daily, and PCM were present at the event too. Being qualified for Media Pitch Day isn’t as onerous as it sounds, all the company needs is a great startup story for the audience. As this is nothing like an investor pitch, companies don’t have to focus too much on coming up with the numbers and charts. Instead, they are encouraged to talk more about their journey . Below is the list of companies that were present during the event. Naptime is a company that aims to help their customers attain better sleep with their innovative equipment and application all in the name of increasing productivity for the users. EventXtra was founded to make the registration of events much easier through the use of technology. EventXtra have different services for corporates all the way to government agencies making sure that any corporations are to give a good first impression during their event. Grom was founded to remove the barriers between medical specialists, medical devices, and digital technology. Grom continuously strives to optimize and improve the journey from prescribing to delivering the best medical devices. Pakbobox specializes in R&D, productions, and sales of intelligent cabinets. Some of their partners are from Yahoo, Taobao, and Groupon. BenePanda offers consumer products and services at an attractive price to more than 80 corporations and organizations in Hong Kong and Macau. Benepanda currently has over 260,000 employees from different companies using their membership services. Moni Studio is an innovative assistive device design firm aiming to create an all rounded system for improving the living quality of elderly and disabled. Ebanner strives to provide high-quality, convenient and efficient services to its guests. The e-banner brings guests a new experience in inkjet printing services. The most popular products are easy-lifts, display panels, outdoor banners, posters, and stickers. Aniwear’s mobile heart monitoring and analytic platform enable convenient ECG recording, rapid and accurate AI – assisted interpretation to support veterinary doctors to confidently manage more of their patients.